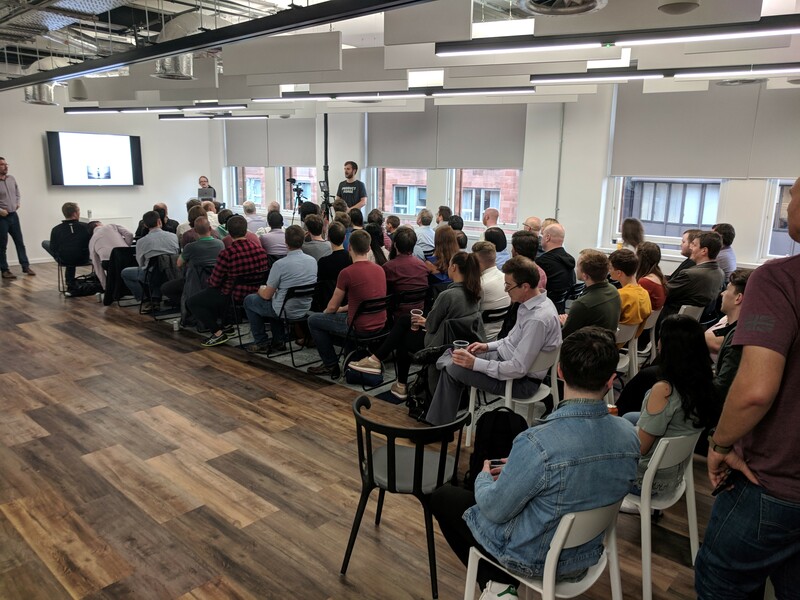 Since Incremental opened its new Glasgow office in April 2018 we have been supporting the wider technology community by hosting over 20 different events and welcomed more than 500 people into our event space. One of our business goals is to support the tech community in Glasgow and this drove us to add a flexible events space to our new office space. In support of this goal we opened this space up, free of change, to tech related organisations, events, user groups and meetups. The tech meetup community in Glasgow is strong however groups regularly face the challenge of finding a free venue to host their events in. Some of the meetups that we regularly host at Incremental are: SQL Glasgow user group, PowerShell Scotland, Glasgow WordPress UG, Data Science and Technology and Lean Agile Glasgow. We work with several partner and local authority organisations to host relevant events. All events have a technology theme or support one of our other objectives such as promoting flexible working and diversity. Like the tech meetup’s the reason for hosting these events free of charge is because they benefit the city and we are happy to play a small part in helping to support that. Interested in using our events space? If you run a tech meetup or are planning a technology themed event in Glasgow and need a venue please feel free to contact us. You can find more information on our space here. Our office is ideally located in the heart of the Merchant City and a short walk from major public transport facilities.